HPU students are in Congdon Hall’s new anatomy lab, which was built to meet the industry’s highest standards. 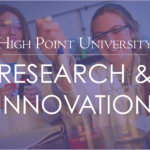 HIGH POINT, N.C., Aug. 3, 2018 – A new Willed Body Program has launched at High Point University, allowing donors to contribute to the education of health care providers in HPU’s graduate programs while also receiving a high level of care in their end-of-life planning. 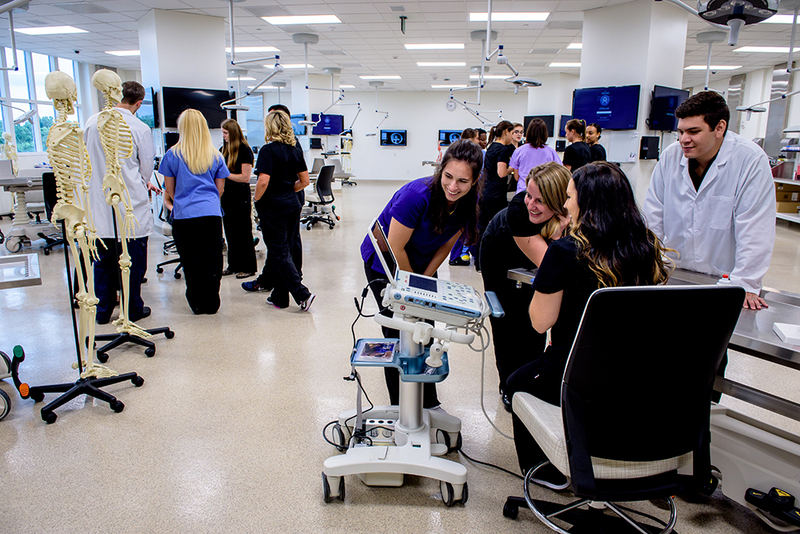 Inside HPU’s new Congdon Hall, which houses the Congdon School of Health Sciences and the Fred Wilson School of Pharmacy, is a state-of-the-art anatomy lab, where students are introduced to their very first patients. 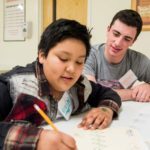 Through these experiences, graduate students in athletic training, physical therapy and physician assistant studies not only learn innovative medical procedures, but also learn how to treat each person with dignity and respect. 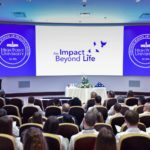 In turn, donors and their families receive a high standard of care from two full-time employees who operate the program – Amanda Mittelstadt, director of HPU’s Willed Body Program, and Rumeal Ferguson, assistant director of the Willed Body Program. Both have unique backgrounds. Rather than anatomists, who traditionally manage an anatomical gift program, Mittelstadt and Ferguson are licensed funeral service providers who have worked in the funeral industry for many years. Each of them have worked closely with many families in mourning the loss and celebrating the life of a loved one. Mittelstadt has more than 10 years of experience in the funeral industry. 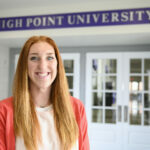 She recently came from Cumby Family Funeral Service to build HPU’s Willed Body Program and oversee the anatomy lab. She says she is excited to build relationships with families who are interested in giving back and are looking for ways to positively impact the future of health care. Ferguson joined the program in December 2017 and assists with the daily anatomy lab activities, coordinating the acceptance of donations for medical research and education, and preparation of donors. He started as a funeral attendant 14 years ago and worked his way up to becoming a licensed funeral director, embalmer and crematory operator. 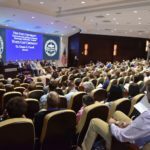 He holds the Certified Funeral Service Practitioner (CFSP) designation, which is the highest professional designation given to individuals in the funeral industry. 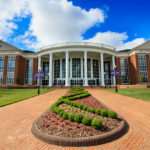 In addition to the intrinsic value of contributing to the education of future health care providers, donors can also benefit from potentially decreased funeral costs, have their name engraved on HPU’s Tree of Life inside Congdon Hall and be honored during an annual memorial service held by the university. 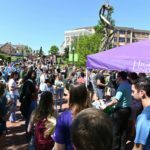 The program also provides cremation and return of ashes to the family, interment for donors in the university’s Memorial Garden, or ashes scattered in the Atlantic Ocean. -Complimentary transportation within a 300-mile radius directly from HPU, provided 24/7. Mittelstadt notes that many anatomical gift programs require a family to pay for transportation through a third-party funeral home, but HPU arranges this directly with a locally contracted funeral service provider and covers this cost. For more information or to apply, visit www.highpoint.edu/willedbody or contact Amanda Mittelstadt by phone at 336-841-LIFE (5433) or by email at impactlife@highpoint.edu.